Due to the dedications of our talented engineers, we emerged as one of the leading and most trusted Manufacturer and Supplier of Cylinder Valve for Gas Cylinder. Our proffered assortments are highly demanded for its unique design and quality assurance. 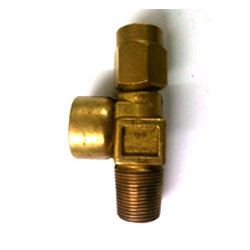 More the Cylinder Valve for Gas Cylinder proffered by us is very nominal at price. CryoCorp is one of leaders in machinery, spares, accessories and ancillaries for gas manufacturing plants of Oxygen, Nitrogen and Acetylene. The word cryo is a Greek word that means icy cold and is derived from the term cryogenics which means relating to very low temperatures. Corp is a short term for Corporation. Hence the company name CryoCorp. CONSULTANCY SERVICES FOR COMPLETE OVERHAULING OF OXYGEN PLANT.